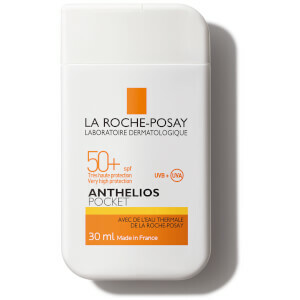 Anthelios XL Ultra Light Fluid SPF 50+ from La Roche-Posay provides very high face sun protection for normal to combination skin. 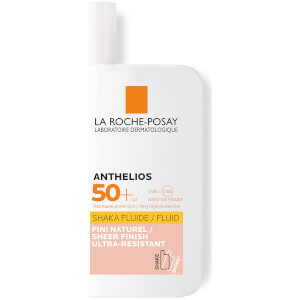 The non-greasy fluid is suitable for use on fair and sensitive skin, helping to prevent the appearance of dark spots caused by the sun's harmful UVA and UVB rays. Its advanced formula contains a combination of Mexoplex, a complex with Mexoryl SX, unique Thermal Spring Water and Mexoryl XL to protect skin cells for a youthful, glowing complexion. 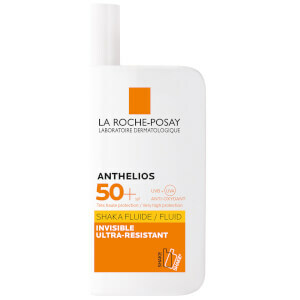 The lightweight, water resistant lotion is easy to apply and ideal for men and women that may be exposed to intense sun regularly. La Roche-Posay products are paraben and perfume free and non-comedogenic. The 100% hypoallergenic formula has been tested on sensitive skin and contains a high concentration of the brand's signature Thermal Spring Water. Please Note: Do not stay in the sun for long amounts of time, even sunscreen does not provide 100% protection. I feel like this sunscreen would be good for a lot of different skin types. I have combination skin and so far it works great for me. Doesn't look greasy on the skin, just gives a bit of a glow. I brought this after seeing the good reviews and i’m really glad I purchased! I have very sensitive skin and use cleansers which treat acne so I’m always careful with what I put on my face. I was specifically searching for a sun screen which isn’t supposed to break you out and this came up on a few articles. It applies really well under foundation and doesn’t leave a chalky layer. I went skiing for 6 days and didn’t get sunburnt once and was only applying this once in the morning and maybe one more time in the afternoon, I’d definitely recommend! This is a light weight, serum like cream. I’ve been using it for two months and reacts very good with my skin, it protects from the sun for a whole day and it is perfect for under the makeup. 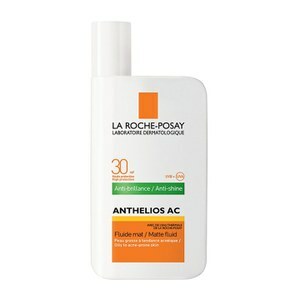 I’ve been using this sunblock for several months now and l wish I’d started using this in my 20’s. It’s very light and absorbs easily into the skin, it’s a product I’ll continue to use as part of my skincare routine to protect my skin from sun damage. This is a rally light sun screen for the face. Not sticky and light so instantly absorbed . Ideal under makeup and perfect for cover if you are using acids etc. Wear Sunscreen! First the good feature: It works very well under makeup. I wait about 5 minutes before applying the foundation. Now the bad things: I live in the UK, so there is not a high risk of burning. In a normal daily sun exposure I don't have a problem with this product. I was on the beach the other day and my face was burnt even though I followed the instructions: shook it before application, used generously and reapplied it often. The other negative thing is, that there is some ingredient(s) what irritates my skin. I have a mild rosacea and this sunscreen makes it flare up. Could be the high alcohol content. It is lightweight, but creates thin protective film. Very comfortable to wear in the city on summertime. Only con - it rolls on my moisturiser, so I use it on bare face. My oily skin responds to it very well, it doesn't ask for extra moisturising, and there is no uncomfortable shine. I had high hopes for this product but unfortunately the product seems to dry my skin and caused breakout. Also it was piling on my skin. Not happy with this product.